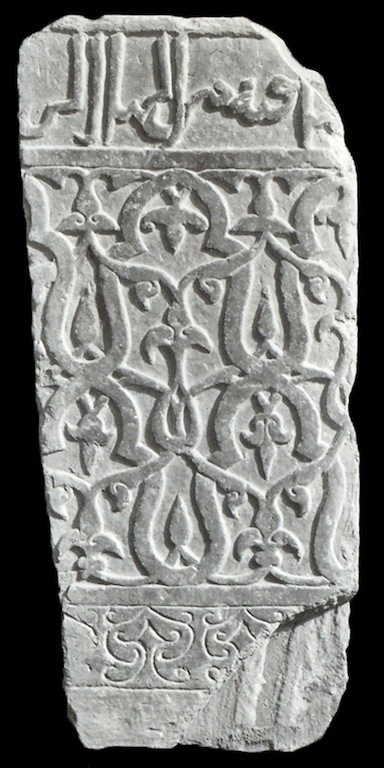 Dado carved in bas-relief (type 33). 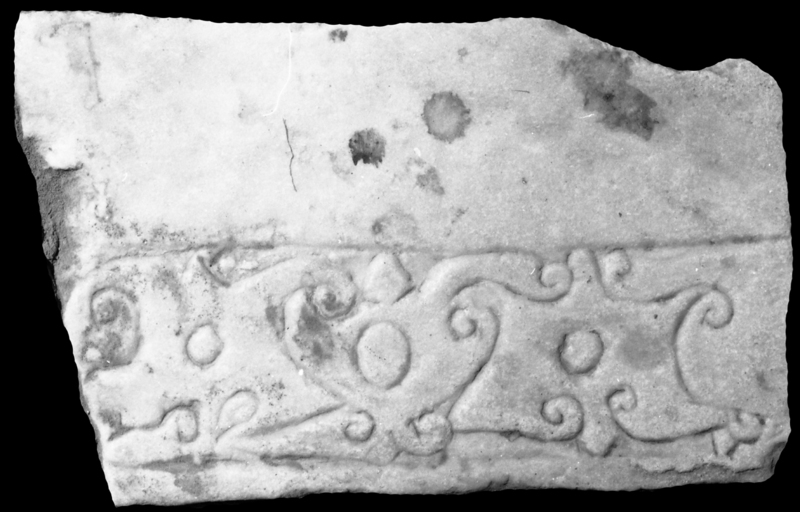 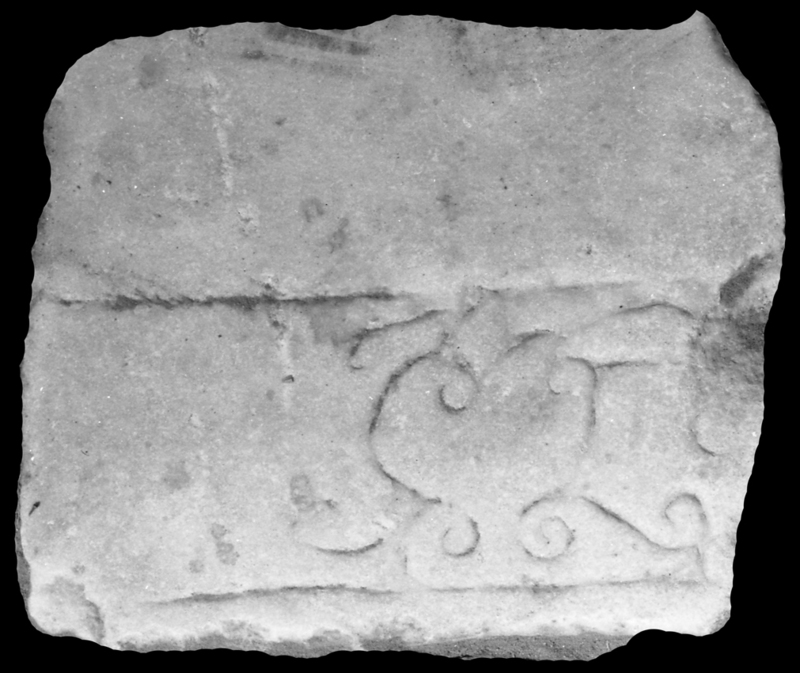 The decoration is composed of three horizontal sections: the upper section consists of an epigraphic band in cursive script, the middle section of a double sequence of interlaced trilobated arches, the lower section of an incised vegetal pattern. 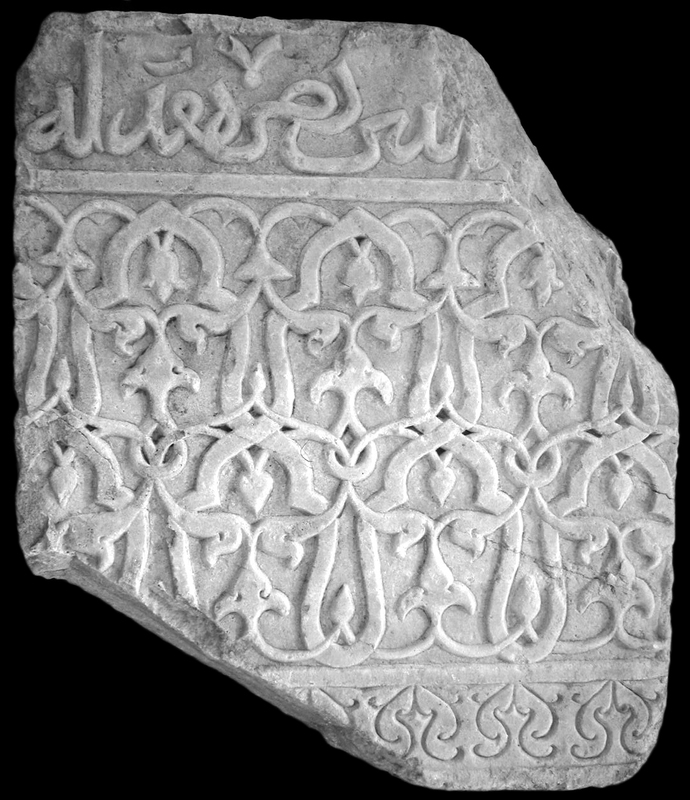 The arches are set against a vegetal pattern of interlaced half-palmettes and fleur-de-lis; they alternate in the lower and the upper course. 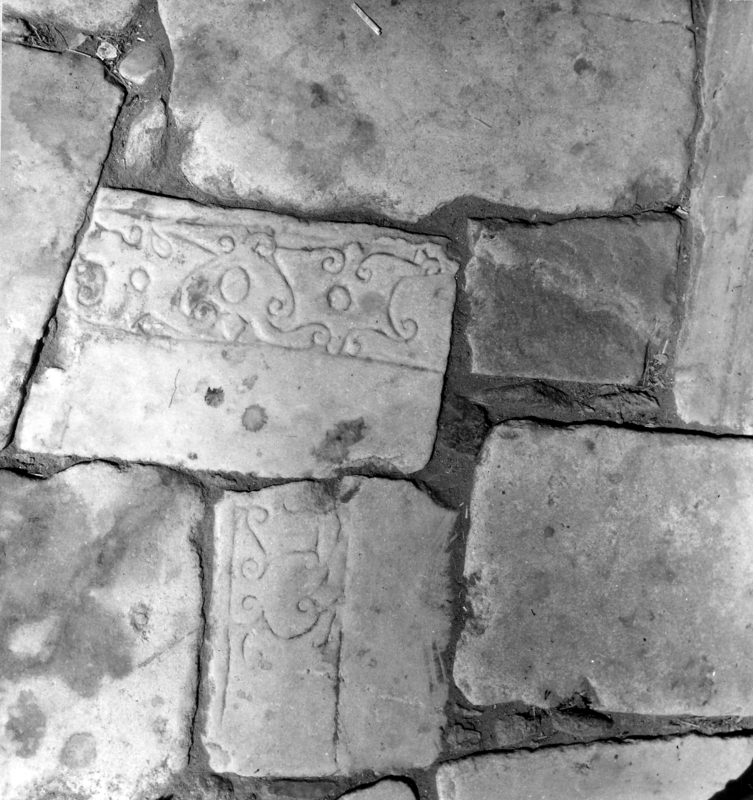 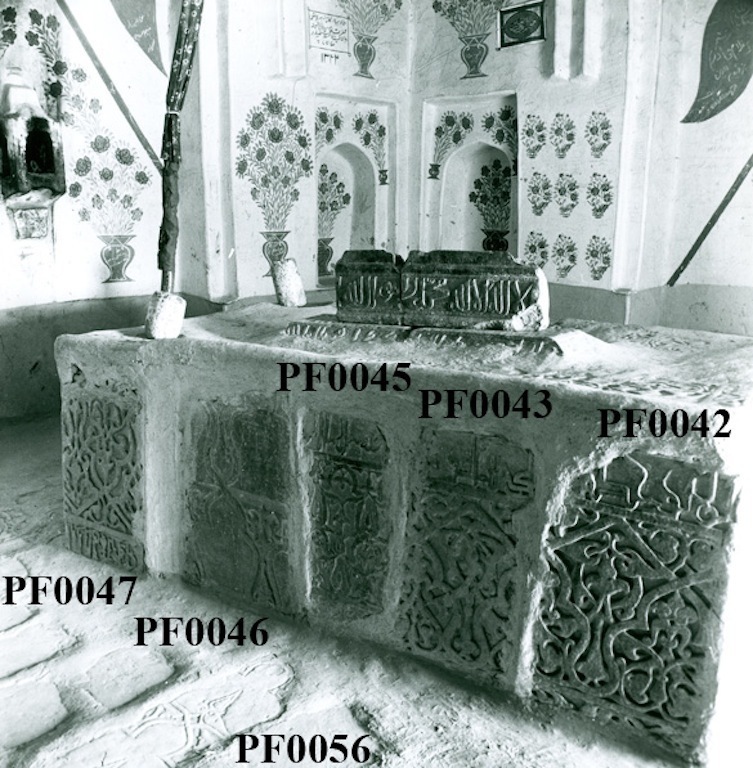 Most of the artifacts were found re-employed in the Ghazni area (the surveys occurred in the late 1950s-1970s); one artifact was first recorded in the Ghazni new storerooms in 2002.